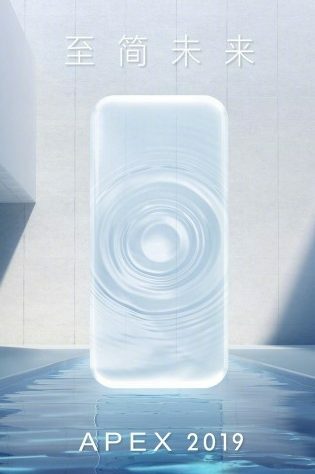 Like most manufacturers vivo didn’t bring any new smartphones at CES 2019, but during the days of the show we got a cool teaser for a concept called Waterdrop that was said to arrive on January 24. 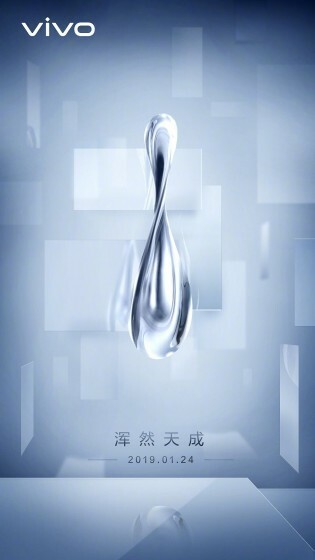 Today vivo posted another image on its Weibo profile, confirming the new phone will be called vivo APEX 2019. 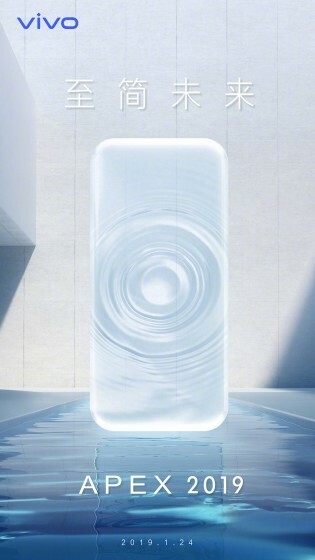 Almost a year ago we saw the first vivo APEX concept with bezel-less screen, pop-up camera and UD scanner that covered the entire bottom half of the display. We expect the new APEX 2019 to showcase other outstanding technologies. A tipster suggested earlier the phone will “subvert people’s past perception of smartphones”. We are yet to see if this will bring outstanding design or the screen will spill on the actual rim or something else that a manufacturer has never done to its phones.